I wrote this in 2007 while a military analyst at NBC News. With a few word changes, I think it holds true yet today. The original is still available at MSNBC.com. Now that former Libyan intelligence officer 'Abd al-Basit al-Maqrahi, convicted for his involvement in the bombing of Pan Am 103 over Lockerbie, Scotland in 1988, has died, more questions remain about the entire affair. These are my thoughts on the issue. I have a unique perspective on this, having served as an intelligence officer for virtually my entire professional career. There are many holes in the official version of what happened with the downing of the airliner and the deaths of 270 people. Many of my readers are familiar with my skepticism about this case, and know that I am not prone to conspiracy theories. I have often expressed skepticism that al-Maqrahi was a major actor in the bombing attack that destroyed Pan Am 103, killing 270 people in December 1988. If that is the case, who do I think did it? 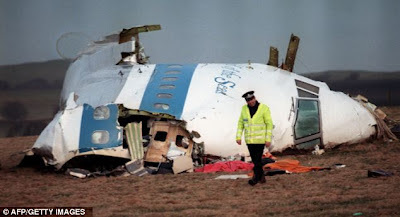 To answer that, I want to recall a few events that led up to the attack on Pan Am 103. In 1987, Iran and Iraq had been at war for seven years - casualties from the bloody conflict were approaching one million. Although there had been U.S. Central Intelligence Agency efforts to assist the Iraqi armed forces with intelligence information as early as 1984, these never proved to be effective, owing to mistrust on both sides. By late 1987, however, the Iraqis were beginning to falter under the relentless attacks by the numerically superior Iranians who mounted fanatical human wave assaults on Iraqi troops positions. In early 1988, the Defense Intelligence Agency prepared an assessment that concluded Iran would likely emerge victorious if the conflict continued another year. Present Reagan declared that an Iranian victory was unacceptable to American interests - he directed the Department of Defense to take steps to ensure that victory did not happen. The result was a Defense Intelligence Agency effort to provide intelligence information to the Iraqi Directorate of Military Intelligence. I was one of two officers assigned to execute this effort. The effort was successful. With American intelligence information, along with the Iraqi use of modified Scud (al-Husayn) missiles and chemical weapons, Iraq was able to force the Iranians to accept a cease-fire in August 1988. Just a month earlier, there was a critical event in the Persian Gulf. On July 3, an Iran Air passenger jet on a flight from Bandar Abbas to Dubai was mistakenly identified as a fighter aircraft by the USS Vincennes and shot down, killing all 290 passengers and crew. I have met with several Iranian officers since that incident - they all believe the shoot down was intentional and intended to send a message to Tehran that the United States would not permit Iran to prevail in the war with Iraq. When Iran accepted the ceasefire in August, they declared that they were capable of defeating the Iraqis, but not both the Iraqis and the United States. The Iranians have never forgotten our assistance to the Iraqis and the shoot down of Iran Air 655. Those are two reasons we should not have been surprised when Iranian Islamic Revolutionary Guard Corps (IRGC) officers and Iranian-made weapons showed up in Iraq following the U.S, invasion in 2003. Having failed to defeat the Iraqis, the Iranians wanted revenge against the "Great Satan." How better to avenge the death of 290 passengers and crew on an Iranian airliner than to destroy an American passenger jet. What better target than an airline that has the word "American" in its name? Here is where the story - let's call it my analysis - takes on truly "bazaar" and bizarre dimensions. There are countries and groups that wish us ill, many for our support of Israel. One such group is the Damascus-based Popular Front for the Liberation of Palestine-General Command (PFLP-GC), headed by Ahmad Jibril. Jibril's group had long been supported by the IRGC. Who better to turn to than a known terrorist group with experience in explosives and hijackings? At some point in the fall of 1988, IRGC officers met with members of the PFLP-GC, possibly with Jibril himself. The Iranians certainly have enough money and other means of support that would be of interest to Jibril. In return, Jibril agreed to bomb an American airliner. In other words, the Iranians contracted out the hit, hoping to hide the Iranian role in the operation. The PFLP-GC is in its own perverse way a very talented organization. Their bomb-makers have exhibited expertise in constructing improvised devices that are hard to detect. To bring down a pressurized commercial airliner flying at high altitude does not require a large explosive device. The trick is getting the device onto the aircraft and ensuring that the detonation occurs after the aircraft has reached a suitable altitude for a small device to be effective. The PFLP-GC bomb makers in Syria constructed at least five suitable devices - four were found, and I believe the fifth was the bomb that brought down Pan Am 103. The explosive device used was concealed in a Toshiba cassette tape player. The explosive material was Semtex, the preferred explosives of terrorist organizations world wide. Until recently, the principal chemical components of Semtex, RDN and PETN, were hard to detect. It was also sold in huge quantities to Libya and Syria, among others. In order to get the bomb onto the aircraft, the PFLP-GC may have enlisted the help of 'Abd al-Basit al-Maqrahi and another Libyan intelligence officer accused but not convicted, al-Amin Khalifah Fahimah. The investigation revealed that the bomb, hidden in the Toshiba cassette player, was packed in a Samsonite suitcase. That suitcase was placed into the interline baggage system at Malta International Airport earlier that day aboard Air Malta KM180 which moved the bag to Frankfurt, where it was placed onto Pan Am 103A (a feeder flight), flown to London and later transferred onto the Boeing 747 that operated as Pan Am 103. 'Abd al-Basit al-Maqrahi's cover position was as chief of security for Libyan Arab Airways (LAA); his intelligence service colleague Fahimah's cover was as LAA station manager at the airport in Malta. Certainly they played a role in routing the bomb-laden suitcase onto Pan Am 103. What is not known is whether al-Maqrahi and Fahimah acted alone for the PFLP-GC - who would not be adverse to recruiting the Libyans - or whether Libyan leader Mu'ammar al-Qadhafi sanctioned their participation. The fact that Qadhafi gave up the two intelligence officers is persuasive to me that this was a rogue operation. If Qadhafi authorized the Libyan intelligence service to conduct the operation with the PFLP-GC and then gave up two of its officers, he broke faith with his intelligence service. We intelligence officers routinely broke the laws of other countries, knowing full well that our government would never break faith with us. For that reason, I tend to believe that the two were operating on their own, probably for a large amount of money, and got caught. Qadhafi gave them up and took the blame to make peace with the West. Is al-Maqrahi guilty? Yes, of course. Is Fahimah also guilty? Most likely - their airline covers were crucial to getting the bomb on board the Pan Am jet. That said, it was probably not sanctioned by Qadhafi. The money Libya paid in compensation is minor compared to the benefits resulting from the subsequent suspension of sanctions and later restoration of diplomatic ties with the West, including the United States. The bottom line: the unproven culprits who have never been brought to justice for the murder of 180 American and 90 others live free in Damascus and Tehran. Since I wrote that article, the Libyan people have overthrown, and unfortunately killed, Mu'amar al-Qafhafi. During the Libyan revolution, Libyan intelligence chief Musa Kusa (photo) defected to the United Kingdom. Kusa served as the chief of Libya's external intelligence service, the mukhabarat al-Jamahiriyah, from 1994 to 2009, thus during the Pan Am 103 operation. As part of his debriefings, Scottish authorities questioned him about the attack. Shortly afterward, the European Union dropped all sanctions and restrictions on Kusa, and he is reportedly living well in Qatar. I would like to know just what his answers were to those questions. I suspect that my version of what happened is closer to the truth than the official version. If that is the case, there is a concerted effort to end this affair with no further blame. There is more. Former Libyan internal security chief 'Abdullah al-Sanusi and al-Qadhafi's son Sayf al-Islam are in custody. They will likely be tried in Libya, although the International Criminal Court has indicted both of them and want to try them in The Hague. They certainly have new information on the bombing of Pan Am 103. Given the Obama Administration's penchant for publicizing successful intelligence operations and ignoring failures, I believe that if we had learned that the official version was correct - that this was solely a Libyan operation ordered by Mua'mar al-Qadhafi and we now have the word of the Libyan intelligence chief at the time - we would have heard about it. The fact that we have not tells me there is much more to this case than we are being told. According to claims of the Free Syrian Army, eight senior officials of the Bashar al-Asad regime were killed in Damascus yesterday, including deputy minister of defense Major General Assif Shawkat. In addition to being the deputy minister and fellow 'Alawite, Shawkat sits on Bashar's Crisis Cell. It goes further: Shawkat is also Bashar's brother in law - he is married to Hafiz al-Asad's only daughter Bushrah. See my October 2010 article, Syria - the rise of Asif Shawkat. In that article, I noted that Asif was to be promoted to lieutenant general (in Syrian Arabic, 'imad), but also note that in the current report, he is listed as a major general (liwa'). The most interesting move here is the promotion of Asif Shawkat to lieutenant general and the news that he may be the next minister of defence. Shawkat owes virtually all of his good fortune to the fact that he is married to Bushra Hafiz al-Asad. If he becomes the minister of defense, al-Asad will have an absolutely loyal and trustworthy ally in that key position. While almost all of the senior officers in key positions are from the 'Alawite minority of the Latakia region, Shawkat is one better, he's family. Shawkat, now 60-years-old, has been the chief of Syrian Military Intelligence since early 2005, shortly after the assassination of former Lebanese prime minister Rafiq al-Hariri in Beirut. Most Middle East observers (including me) believe there was a Syrian hand in the murder. 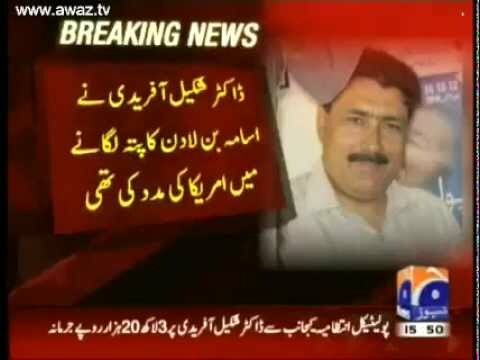 We also believe Shawkat was involved in the planning, if not the execution. The regime has denied the opposition claims about this alleged operation. It is not unusual for the opposition to make such claims, nor is it unusual for the regime to deny such claims, even when true. It remains to be seen if Shawkat was killed as claimed. He may surface later today or in the next few days for no other reason than to make a proof of life. However, if the opposition claims are true, this is a major success for the opposition. As I said in the 2010 article, this is not just an attack on a senior official, this hits the very heart of the al-Asad family. Despite America's ambassador to the United Nations Susan Rice's protestations to the contrary, the Kofi Annan ceasefire plan for Syria has failed. It was doomed to fail from the start - Bashar al-Asad has no reason to step down. He has effectively used his military, intelligence and security forces to suppress the opposition, and is doing so with impunity because he has correctly assessed that foreign military intervention is highly unlikely. The world is watching to see what happens next. Will there be a Libya-style operation to protect Syrian civilians from the military onslaught being waged in several cities? Will a coalition of Arab and Western nations begin to provide effective covert support to the opposition, providing the three things needed for a successful insurgency - money, weapons and training? Or will there be a series of increasingly harsh economic sanctions imposed on the country - I mean real sanctions, not the laughable European Union cutoff of luxury goods to the al-Asad family? (See my earlier article, EU luxury sanctions against Syria - is the best you can do?) I am not sanguine that anything is in works. Why not? Simple. The Russians and the Chinese will not support real action against Syria, and the Obama Administration is too focused on its upcoming tight re-election campaign. It has adopted a very passive observer role, hoping that others will solve the problem, much like the role we have seen this Administration take in regards to the Iranian nuclear issue. Ignore it and hope it either goes away when Tehran announces its nuclear weapons capability, or condemn the Israelis when they attempt to destroy the program. In the case of Syria, the Administration has put its stock in several "other people's solutions." There is the doomed-from-the-start Annan initiative that virtually no one who knows anything about Syria (and I do not include Kofi Annan in that group) thought would succeed. Under that plan, about a third of the 300 unarmed UN military observers are in Syria. Since the beginning of the Annan "ceasefire," over 1000 Syrians have died, including 55 in a car bomb attack in a section of Damascus that is home to a major intelligence facility. The facility in the al-Qazzaz neighborhood, located at the intersection of the Airport Road and the Southern Bypass, is pretty heavily guarded - I could never get near it. Now we see Syrian crowds demonstrating against the UN observers. Then there is the hope that at some point new-again Russian President Vladimir Putin will renounce his staunch support for Bashar al-Asad and support tough United Nations measures. It does not appear this is going to happen. Putin just announced that he will forgo the U.S.-hosted Group of Eight meetings - not exactly an indicator of impending cooperation with the leading nations of the world. If the Administration is hoping that NATO or European nations are about to form a coalition and militarily intervene in Syria, they are going to be disappointed. France, who took the lead in forming a coalition for last year's military operations against Libya's armed forces, has undergone a major political change. A new president, a socialist, will take office in mid-May and has already announced plans to withdraw French troops two years early from its NATO commitment in Afghanistan. To think a President Hollande is going to commit French forces to Syria is a bit naive. If the Administration is hoping that the Syrian opposition will somehow gel into an organization with the capability to stand up to the al-Asad regime backed by tanks, artillery and air power, I assess that without external assistance, it is only a matter of time before the government forces prevail. That's a polite way of saying that there will be a bloodbath - the Syrian regime is not known for restraint when it comes to its own survival in power. U.S. Secretary of Defense Leon Panetta stated that the Pentagon has a series of contingency plans to intervene if ordered to do so by the President. The plans reportedly include establishment of safe areas as well as an air assault on Syrian military forces. That's all well and good, but the planning is useless to the Syrian opposition if the President does not give the orders. The Gulf States, the Europeans and most importantly, the Syrian people are looking for some kind of American leadership. In Libya, we adopted the nonsensical "leading from behind" construct. It Syria, we are not leading at all. 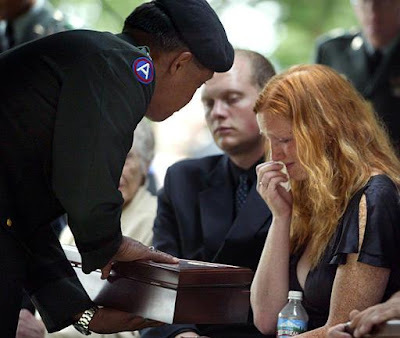 Message to terrorists who kill American service members, diplomats and citizens: It may take years, even a decade or more, but the military and intelligence services of the United States will hunt you down and kill you. In Yemen on Sunday, May 6, an airstrike killed wanted al-Qa'idah leader Fahd Muhammad Ahmad al-Qus'u (also rendered as al-Quso). Al-Qus'u was one on the FBI's Ten Most Wanted Terrorists for his role in the October 12, 2000 attack on the USS Cole while in the port of Aden, Yemen, in which 17 American sailors were killed. Although neither the Yemenis nor the Americans have confirmed that the strike was carried out by an American drone, Al Jazeera reported it as an American attack which killed al-Qus'u and an accompanying al-Qa'idah official, as well as wounding six others. This has all the indicators of an attack by a drone-launched Hellfire missile. Of note, the report in Arabic on Al Jazeera stated that al-Qus'u had been "martyred" - any question who's side they are on? Al-Qus'u had been assigned by al-Qa'idah to videotape the 1998 suicide bombing of the USS Cole, but he fell asleep. To their credit, the Yemenis arrested him and imprisoned him for more than five years. 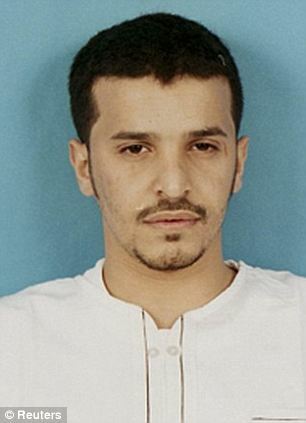 Following his release in 2007, he rejoined al-Qa'idah and became a much more influential member of the organization. Being from the same tribe as the late (as in also killed by an American missile strike) American-born radical cleric and al-Qa'idah leader Anwar al-'Awlaqi, al-Qus'u was involved in plot by Nigerian-born 'Umar Faruq 'Abd al-Mutalib to bomb a Detroit-bound airliner on Christmas Day, 2009. In 2010, he achieved what is considered a benchmark for al-Qa'idah leaders: the U.S. State Department designated him as a "global terrorist." I have been critical of many aspects of President Obama's foreign policy in the Middle East in general and his prosecution of the wars there in particular. His "leading from behind" style and the constant telegraphing of our plans and strategies to our antagonists is dangerous. That said, his willingness to order drone-launched missile strikes on al-Qa'idah terrorists in Pakistan and Yemen is to be lauded. Hunting down al-Qa'idah leaders in the countries where they have sought refuge is much preferable and more effective than nation building efforts in countries in which al-Qa'idah is no longer a threat. Despite Kofi Annan's wishful thinking that his cease-fire plan is "on track," the security situation in Syria continues to deteriorate. Many of the world's major powers, including the United States, have called for Syrian President Bashar al-Asad to step down. As this process plays out, there is concern about what might happen to Syria's large stockpile of chemical weapons stored in several locations around the country. The worst case scenario, of course, is that these weapons end up in the hands of a non-state actor such as Hizballah or al-Qa'idah. Technically, Syria is within its rights to have chemical weapons. The country is a signatory of the 1925 Geneva Protocol, which prohibits first use of chemical or biological weapons, but does not prohibit the manufacture or possession of them. More significantly, Syria is not a signatory of the 1997 Chemical Weapons Convention which goes further and does outlaw the production, stockpiling and any - not just "first" - use of chemical munitions. As such, Syria is under no international obligation to declare its chemical weapons, destroy them or even allow international inspectors to monitor them. By not signing the convention, Syria is in company with only Angola, North Korea, Egypt, Somalia and South Sudan. Syria has not admitted that it possesses chemical weapons, but it is hardly a secret. It is believed to have the largest stockpile of undeclared chemical weapons in the world, including the most lethal chemical warfare agent ever developed, the persistent nerve agent VX. The Director of National Intelligence, in an unclassified report to Congress in 2006, provided this assessment of Syria's chemical and biological weapons, and the ballistic missiles that can be used to deliver them. It does not address Syrian air force fighter-bombers that can also carry chemical weapons. Syria maintains its chemical weapons arsenal and delivery systems to provide a deterrent against an attack by the vastly-superior (and nuclear-equipped) Israeli armed forces. Its ballistic missiles and squadron of SU-24 (NATO: FENCER) fighter-bombers can deliver chemical weapons virtually anywhere in Israel. That fact mitigates Israel's oft-cited argument that it needs to retain control of the Golan Heights seized from Syria in the Six Day War of 1967. Syrian artillery positions on the heights at one time posed a threat to northern Israel, but with the advances in weapons technology, the Syrians no longer need the high ground to put weapons on Israeli targets. Syrian missiles based in protected launch positions in northern Syria can strike targets anywhere in Israel. Syria's chemical weapons are - and should be - of concern. As the world determines its next steps in confronting the bloodbath in Syria, it needs to take into consideration the status and disposition of Syria's chemical munitions. Although handling of the weapons requires specialized training, having them fall into the hands of Hizballah via the Syrian regime, or into the hands of al-Qa'idah via the Muslim Brotherhood-dominated opposition, is a frightening thought. In various speeches over the last few weeks, Moussa chose his words very carefully - after all, he is a professional politician. In his own words, "the Camp David Accords are a historical document whose place is on the shelves of history, as its articles talk about the fact that the aim of the agreement is to establish an independent Palestinian state. This agreement is dead and buried." The candidate described the accords as "ink on paper" (hibr 'ala waraq) - an Arabic idiom that corresponds closely to the English "not worth the paper it's printed on." What the Haaretz headline does is conflate the Camp David Accords with the Egypt-Israel peace treaty, when in reality these are two separate documents. The Camp David Accords, signed in in 1978, did set the framework for the Egypt–Israel Peace Treaty in 1979 - the two are often confused as the same agreement. The 1978 accords included a commitment to grant the Palestinians "full autonomy" within five years, a phrase many believe to be a guarantee of statehood. You would be hard-pressed to find Egyptians who view the two as separate agreements. Moussa, again choosing his words precisely, states, "There is an agreement between Israel and Egypt that we will honor as long as Israel honors it." This is a welcome statement. While some of the Islamist candidates have called for the abrogation of the 1979 treaty, cooler heads in the Supreme Council of the Armed Forces (SCAF), the group currently in charge of the country pending election of a president, have prevailed - most of the Islamist candidates have been disqualified by the SCAF-appointed Supreme Presidential Electoral Commission. There is a reason for Moussa's statement and the SCAF's disqualifications of the Islamist candidates. Moussa is trying to appear as the voice of reason to rational Egyptian voters in the first instance. In the second instance, no senior Egyptian military officer in his right mind wants to abrogate a peace treaty with the Israelis. While the Israelis have been able to devote less of its military resources to its western flank and concentrate on what it believes to be its primary enemies - Iran, Syria, Hizballah and HAMAS - it still maintains enough capability aimed at Cairo to hand the Egyptian military a serious defeat. Amr Moussa is a brilliant politician and an able statesman. We need to listen to his words carefully and appreciate his handling of the Egyptian electorate. Camp David may be dead, but the Egypt-Israel Peace Treaty lives. Perhaps Haaretz should have headlined the article, "Moussa reaffirms Egypt-Israel peace treaty."